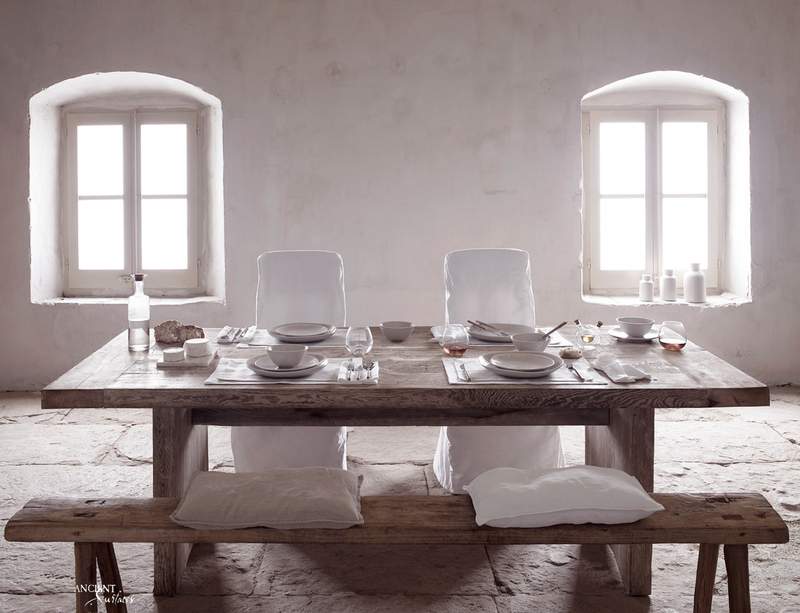 Wabi Sabi Finding Beauty in Imperfection - Ancient Surfaces Purveyor of Premium Antique Limestone Elements. It is thanks to a recent trip to Japan that I can finally put a name on a trend that was unnamable to me: the Wabi-Sabi. For me Wabi on one side evokes simplicity, nature, dissymmetry and nostalgia. The Sabi refers to the patina of objects, old things decaying and weathering into an ultimate rebirth. In three words, the Wabi-Sabi is ‘finding beauty in imperfection’. It feels good not to relax a little and say that not everything should be smooth, new, ultra-designed to be attractive … I feel close enough to this Zen ideal manifested in the Asian-centric Duality of Ying-Yang. Join us in this blog as we express this trend with images to better understand what this term means in terms of decoration. The TriBeCa Penthouse was created by Belgian designer Axel Vervoordt and Japanese architect Tatsuro Miki, for owners Ira Drukier and Robert De Niro. The Wabi-Sabi Bathroom in a menagerie of antique Limestone floors and walls, white-washed plaster patina a reclaimed stone trough sink and ancient wood beams. A Wabi Sabi Bathroom is centered around a splendid antique reclaimed Marble bathtub provided by Ancient Surfaces. Imagine escaping to a place where an atmosphere of tranquility and privacy unites with a climate of eternal summer. Eco-boutique hotels across the world are reverting back to simplicity and natural beauty. Whether overlooking the turquoise waters of the Atlantic, or on an isolated Adriatic Island, Modern conscientious luxury is now defined by the symbiotic natural and cultural beauty of its surroundings. Each spaces creates with Wabi-Sabi in mind provides an atmosphere of intimacy and calm without being intrusive within its natural environment. Those architectural creations seems to work best on spectacular properties with panoramic views of a nature reserve or coastlines, encompassing on many occasions lush indoor gardens, as well as private pools facing a beach and lost to the sea horizon. Whether Private villas or boutique hotels, Wabi-Sabi architectural gems can benefit tremendously from our antique reclaimed Limestone such our ‘Millennium Limestone Wide Planks’ or our Slicky smooth off-Gray shaded ‘Kronos Stone’. Inspired by nature’s own forms, this project designed by the talented home owner and her architect translates colours, textures and aromas into spaces that not only bring users closer to nature, but also satisfy their desires for privacy, luxury and Mediterranean comfort, attributes that our antique reclaimed Limestone is well suited and known for. 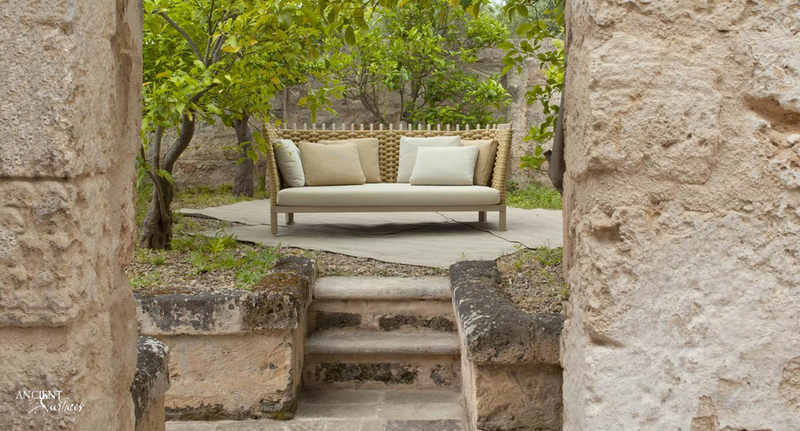 The antique limestone pavers becomes a sanctuary of well-being and an escape vehicle from the daily mundane. A true Wabi-Sabi spa bath creates diverse atmospheres conducive to relaxation and full Mind/Body/Soul healing. Your Spa, with the use of elements such as plaster patina, old wood textures, aromatic flavored essences, meditative sounds and ancient Limestone pavers becomes a sanctuary of well-being and an escape vehicle from the daily mundane. The apparent well tough of finished stone walls and floors merge with the reclaimed wood doors and wine racks. The rustic palm roof towering over the glass ceiling lets in faintly filtered light that reflects on the stone wall. A fleet of stairs reminiscing of the ancient wall of China can be so serene and relaxing while mirroring the duality of space and how at different times a chaotic scene of unrest can also later serve as a calm and contemplative temporal window of what once was. Wabi-sabi is letting your furniture pieces express themselves while appreciating each marking of time that happens to shape and reshape them. It takes a long time to learn how to get rid of the superfluous and covet only what is beautiful, timeless and natural. It is a quest that liberates and frees making you appreciate what counts in life versus what doesn’t. The acceptance of transience and imperfection is the acceptance of beauty that is “imperfect, impermanent, and incomplete”. Are you up to some Wabi-Sabi yet? Why can’t your own home smell, sound and fell like the escape resort of your dreams? Why said it can’t be done and why limit yourself to nothing short than your dream scenario? Sometimes when we’ve traveled to the ends of the earth every next step we take is a step measured towards returning there once more just to bring back a small fragment back home. Very few architectural stone elements can be more relaxing and meditative than an indoor coy pond patio complete with a medieval wall fountain and a connecting stone water channel. All respecting the Wabi-Sabi principle of non-restoration and reusing as is.